'I like maps because they lie,' once wrote Literature Nobel prize winner Wisława Szymborska in one of her poems. According to maps, Poland did not exist for more than a century. Nevertheless, Poland kept on exisiting in the minds of its people, either living in exile as or under the rule of three different empires.Silesia, on the other hand, did not fit seamlessly in this complex puzzle. Sosnowiec and Katowice are neighboring cities currently located in Silesia, one of the sixteen Polish voivodeships. When I first heard jokes about Sosnowiec in Katowice, I thought it was just the typical hatred neighboring cities show to each other, something like Torun and Bydgoszcz, or big cities like Kraków and Warsaw. What struck me as unusual was when I heard them say that Sosnowiec is not a part of Silesia. 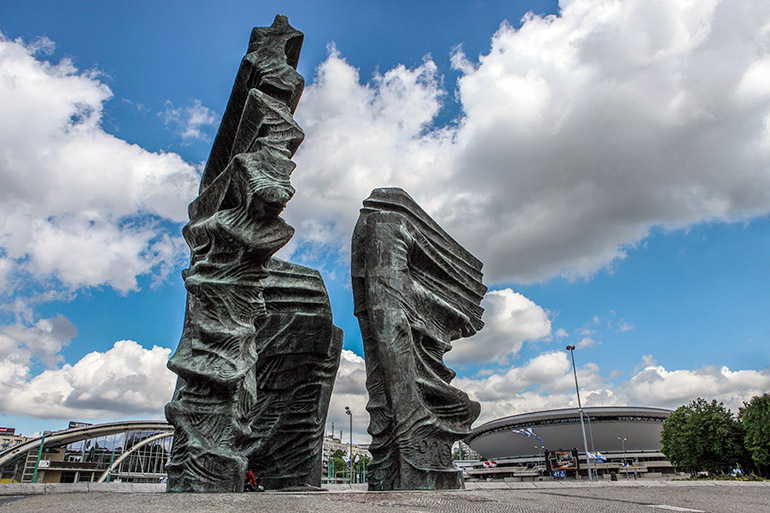 According to many people from Katowice, I would even need a passport to make it to Sosnowiec. So, I decided to check on a map and prove them wrong. According to the map, Sosnowiec is clearly inside of the Silesian territory and no, nobody needs a passport to go to Sosnowiec. So why is it that so many people think differently? Until the beginning of the 5th century, Silesia was inhabited mainly by Celts and Germanic tribes. Later, it was inhabited by Slavic groups such as White Serbians and Sorbians, a minority group that still speaks this Slavic language in the limits of the historical German part of Silesia, now Görlitz in Sachsen. Polish and Czech migrants came to Silesia before it became part of the Piast Kingdom of Poland under the rule of Mieszko I. 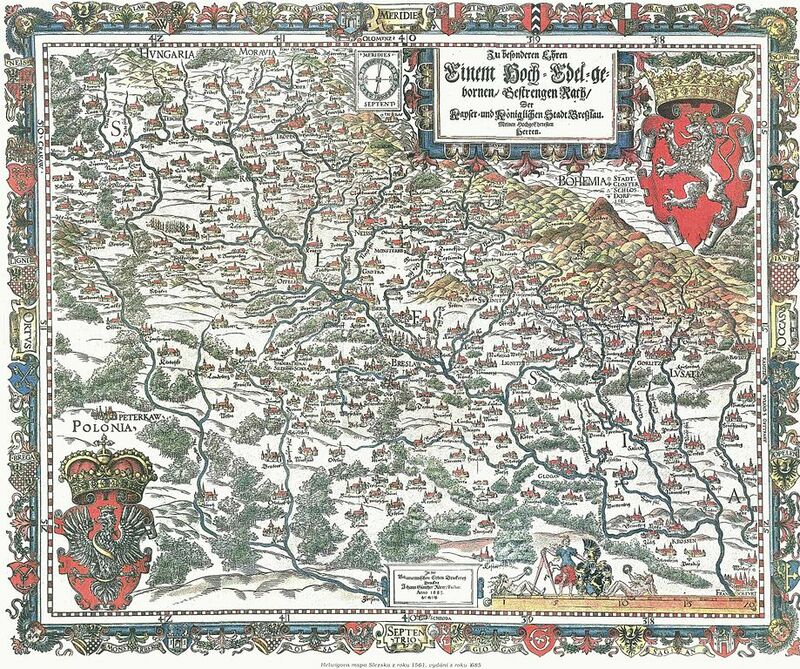 In 1335 the king of Poland Casimir III gave the region of Silesia to the kingdom of Bohemia, which in 1526 was then ruled by Ferdinand I of Hamburg. In 1748, after the war of the Austrian Succession, Silesia was then taken by the Prussian empire, becoming the province of Silesia, consequently part of the German Empire. In the middle of the Silesian valley flows the Oder, the main river that separates the land in two unequal parts. In the left part live mostly Germans, whereas in the right half, most of the inhabitants use the Polish language. This inequality could also be used as a metaphor, since in economical terms German speakers were typically richer than the Polish ones in the region. Polish dialects in Silesia differed from mainstream Polish. In fact Silesians do not call it Polish but Silesian , since it the German and Czech influences were considerable enough to create some significant discrepancies. So who are the Silesians today? According to playwright Stanisław Bieniasz and the University of Silesia professor and writer Zbigniew Kadłubek, every person who feels Silesian, and who lives or has lived in Silesia, is Silesian. This historical region of Silesia is now located in three different countries: Germany, Poland and Czech Republic. After its reorganization in 1919, the Polish Silesians divided the Polish Silesia in two regions: Lower Silesia and Upper Silesia. In 1921, after two Uprisings in Upper Silesia and according to the Treaty of Versailles, a plebiscite had to be carried out to determine the limits of Germany and Poland, which was technically a new country, since it had been less than a decade after it made it back to the map. The plebiscite showed that around 40% of its population wanted to be part of Poland and 60% wanted to be part of Germany. Those voting for Germany were living in the big cities, whereas those living in the countryside voted mostly for Poland. Silesians living in West Germany were also able to vote. 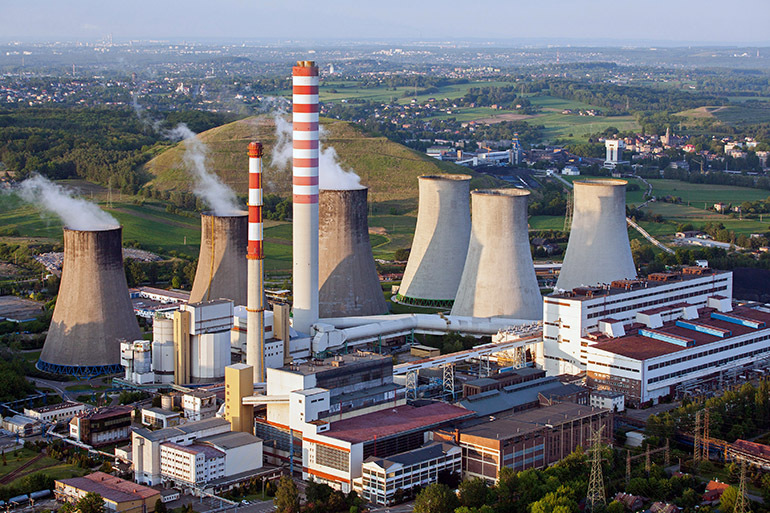 At the end of the XIX century, many Silesian Polish speakers had moved from the industrial Silesia to another industrial part in West Germany: Ruhrgebiet; the so called Ruhrpolen. They were offered better salaries since they already had experience working in coal mines. This controversial results caused a third uprising that gave at the end more territory to Poland, which involved most of the mines and around half of the Steel mills. These two things made Silesia specially attractive to both countries. Two decades later, the second world war was threatening also Silesians. They all had to be Germans in order to survive to the Nazi regime, so the Polish government in exile also found as a good solution for the Polish Silesians to identify themselves as Germans. 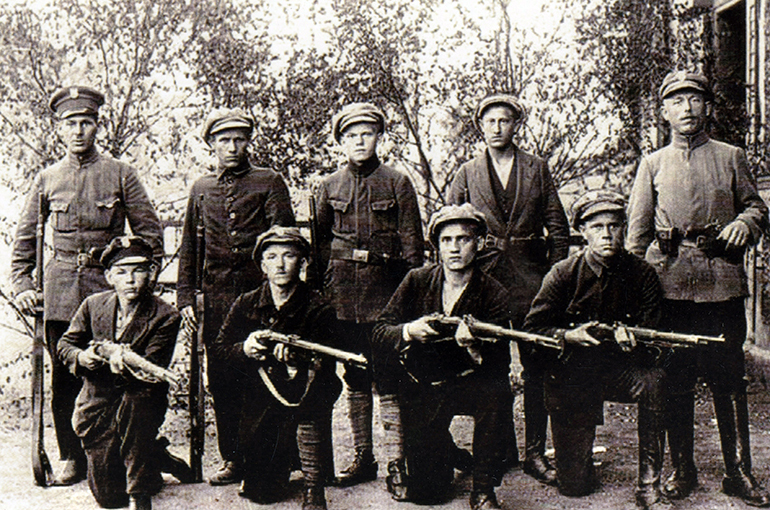 Once the second war ended and when everything seemed to be peaceful, the real terror came for Silesia when the Soviets did not make distinctions between Polish or German Silesians. For them they were all Germans, part of the Nazi regime. It was now forbidden to speak German and the USSR led a new project to build the Polish identity, a new nation ruled by communists. German was forbidden and everybody had to speak Polish—the language of educated people, treating Silesians again as second class citizens in their own land. It was not until 1991, after the fall of communism that German was once again allowed. After all these –let’s say— political misunderstandings, it is now possible to meet people speaking in German and Silesian on the streets. In the city center of Katowice, the capital of the historical Upper Silesia, it is possible to hear German at least once in a while walking through Rynek or Sw. Jana, a street where the cafeteria called “Kattowitz” is located. A place that recalls the German atmosphere of the historical Silesia. The wealthier citizens live rather in the suburbs and until two years ago, the center of Katowice was rather poor. However, big changes are happening. The Polish Radio National Opera has a new venue next to the new Silesian museum, which is to be open this summer. Next to them we can find a new center of conventions that hosting already world level meetings such as Intel Extreme Masters. This spring, Katowice opened a renovated main square with benches and threes. Along with the many new pubs and Galeria Katowicka, a mall connected to the also brand new train station, the city center is also welcoming a new type of society with stronger purchasing power. More students and professionals prefer to live in the city center and the poverty is being overshadowed by the diverse society that the new buildings, cultural events and shops brought to the scene. There is a very strong Silesian identity in the historical region of Silesia and more than 800 thousand people define themselves as part of a different nation. The movement that wants Silesia to be an autonomous region has become stronger: the Ruch Autonomii Śląskiej. The latter does not want Silesia out of Poland as many Poles believe. However, they do want to have more influence in the political decisions and invest their taxes, among other things, in taking care of the region’s culture. 'People say we want to be German,' says in an interview blogger Łukasz Tudzierz. 'To me, this is absurd and it hurts me, I feel like a Polish citizen and I want to be part of Poland. Why do I have to explain to people that I do feel Polish?' he argues. On the other hand, Profesor Kadłubek insists Silesia is not only about pain and suffering. 'Silesia is also carnivals and happiness, and hope for change.' The fact that the Polish Government does not acknowledge Silesians as a minority when it comes to politics makes it more difficult to take care of the culture and traditions of the region. On the other hand, the Kashubians, a minority living in the north of Poland were granted that status years ago, and thanks to that, they are able to invest in their language –spoken by a little bit more than 100 thousand people— and to promote culture in schools. During a national survey conducted in 2011, 847 thousand people in Poland declared themselves as Silesian nationals: four times more than the 233 thousand who feel Kashubians and more than the 148 as German. From that total of 847, however, half of them said they also feel like Polish nationals. 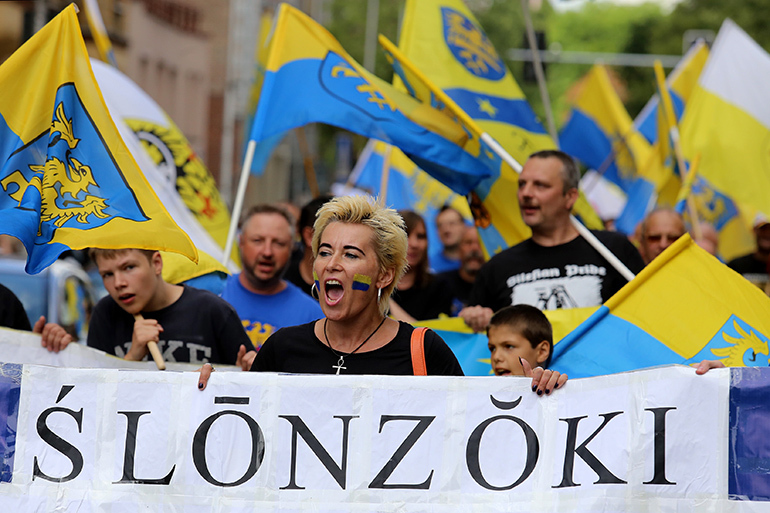 A linguistics professor from the University of Silesia, Jolanta Tambor, considers that Silesian meets the conditions to become a regional language, and the problem is that people tend to confuse it with the autonomy question. 'In Silesia there is a lot more resistance to acknowledge the regional language than in other regions,' professor Tambor stated. Her grandparents used to speak in Silesian and sing in German. She also remembers how it was more frequent to hear Silesian in the shops. Now she does not use Silesian, the language of her childhood. During her youth she was also ashamed to speak it, now she only uses it to make jokes; to make fun of an already discriminated language. At university, she says, some of her students speak to her in Polish, and when they turn around they start talking in Silesian with their friends. To the question, ‘what will Poland miss if it never acknowledges Silesian as a regional language?, she answered: 'The more multicultural it becomes, the richer our national culture will be. It is a great wealth to see the world from different perspectives'.' Professor Tambor does not see the lSilesian language as a separatist threat. “Things that aren’t taken care of tend to disappear,' she stated. In 2015, a new program of studies will be launched at the University of Silesia, a private program that teach the culture of the region. But that is not all. Several young artists are also promoting regional identity with artistic projects. We can buy many of their art at Geszeft, a store located in Koszutka, or Gryfnie, another store in Miarka Square that promotes Silesian identity. Those shops also sell the works of Silesian authors: Szczepan Twardoch or Professor Kadlubek are available, to prove that Silesia, just as any other region, has its own writers, who in turn contribute to defining Silesian Identity. Local activism is also alive among the youths. A recent organization called Napraw sobie miasto/Fix the City Yourself brought the Mayor of Katowice to a small bar called Kato, to discuss a way to involve local citizens in decisions regarding their neighborhood 's budget. Professor Kadłubek insists that the so-called liquid modernity, described by sociologist Zygmunt Bauman, has become irrelevant. More and more, people are looking for their own place to settle. Something that allows people to take care of their physical space. Alexis Angulo has a degree in journalism from the Universidad Nacional Autónoma de México and is currently studying Polish philology at the University of Silesia. He is a recipient of the Bilateral Mexican-Polish Agreement Scholarship.